Most people in the Bigfoot world are familiar with the name:Tom Biscardi. The guy is well known for his involvement with Rick Dyer in the 2008 Georgia Bigfoot Hoax. 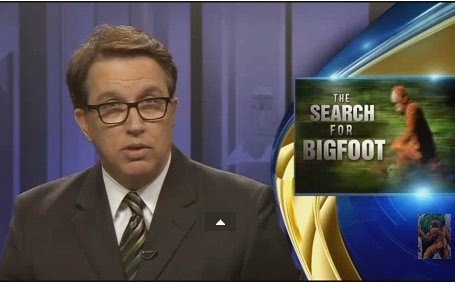 Tom was also a star in the film, Shooting Bigfoot, where his famous line "Joan get me a snapple" resonated within the Bigfoot Community making for some good laughs. Tom has been at this Bigfoot thing for a long time now, and despite being associated with known hoaxers, he is still deemed credible by some folks. Now we find him in Texas where a family has had Bigfoot activity near their property for quite some time. According to the family, the creature has been waking them up in the middle of the night with loud, bone shaking howls. Due to all this recent activity they have decided to call in the big guns to check things out.